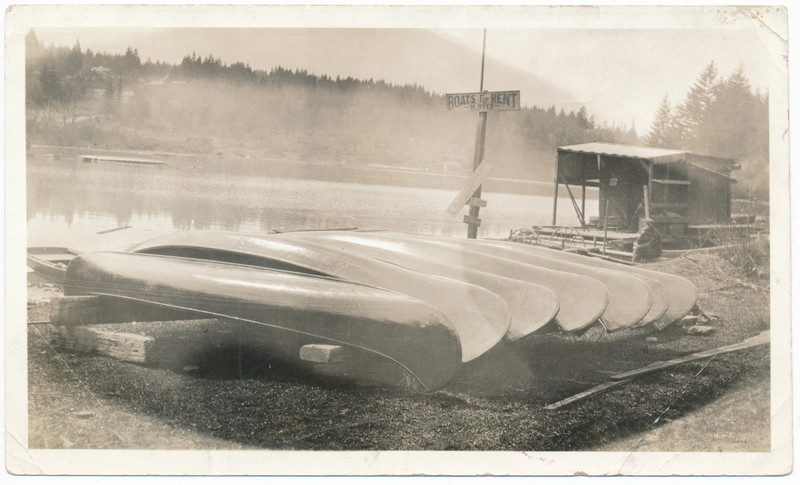 Description Canoe rentals on Oswego Lake. Signs read: Boats for Rent; H. Dyer and Canoes for Rent. Photo is from Smoke Family collection and were donated to OHC by Claire Calcagno.